Newer: » All set for 10th Annual Reef Week! The San Pedro Sun welcomes new staff reporter Dion Vansen to its youthful line-up of writing professionals. 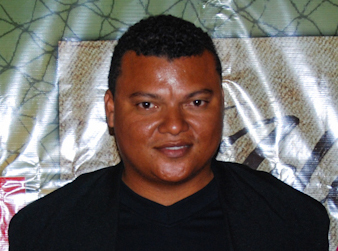 Vansen is the mastered mind and head writer of Belize’s first Telenovela (soap opera) La Isla Bonita which premiered in San Pedro on September 5, 2014 and has also contributed articles to online magazines. The writing career has also taken him to pen scripts for a weekly radio drama called Punta Fuego, aired on Love FM radio station. Originally from Independence, Stann Creek, Vansen enjoyed writing from a very young age and always dreamed of having a career doing what he loves the most, writing. He attended the University of Belize Belmopan Campus were English and Literature were his favorite subjects. Vansen moved to San Pedro at the beginning of the month and is enjoying the tropical weather of La Isla Bonita. When he is not writing, Vansen enjoys swimming, listening to music and exploring the island.